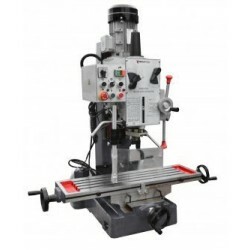 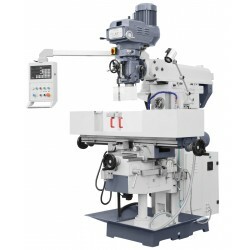 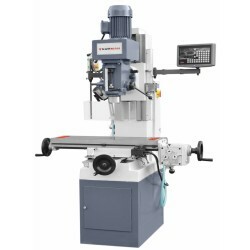 The machine can be used for holes drilling, reaming, milling and broaching up to 45/40 mm in cast iron and threading of bolts up to M12 mm, milling up to 80 mm width as well as notches up to 22 mm. 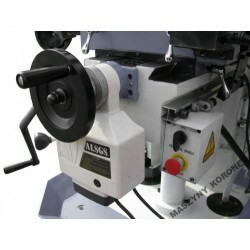 It is also suitable for face milling and cutting. 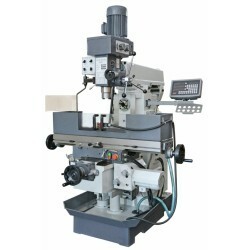 On the milling and drilling machine various accessories can be installed. 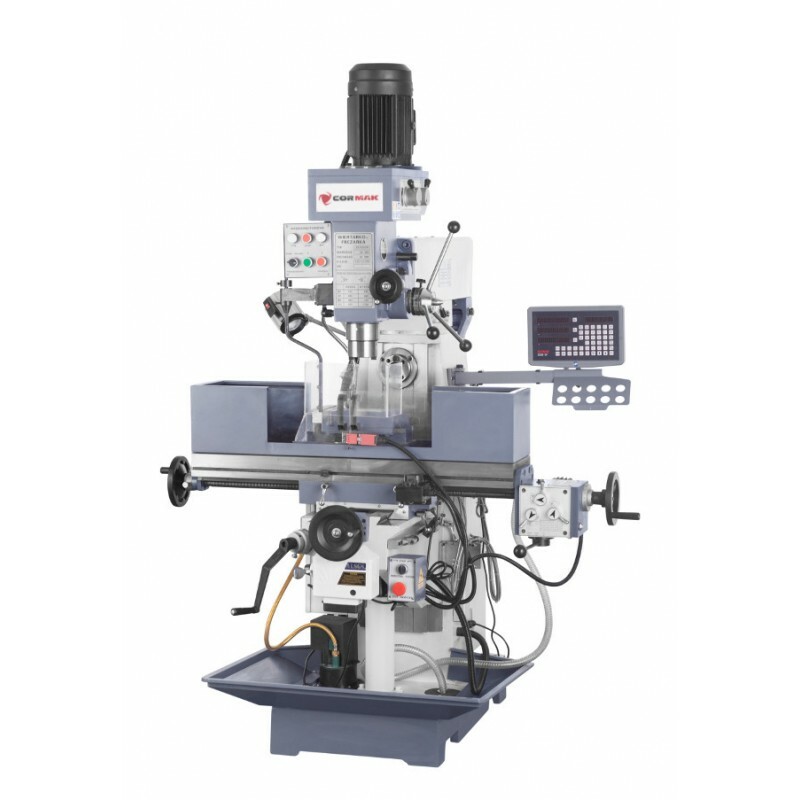 Servodrives in all axes, a head with a threading function, the pinole auto feed, a horizontal spindle ISO 50, a large table 1600 x 360 mm. 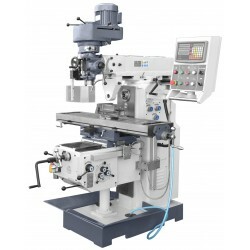 The machine can be used for holes drilling, reaming and broaching up to 45/40 mm in cast iron and threading of bolts up to M12 mm, milling up to 80 mm width as well as notches up to 22 mm. 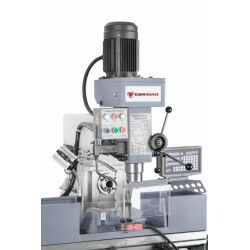 It is also suitable for face milling and cutting. 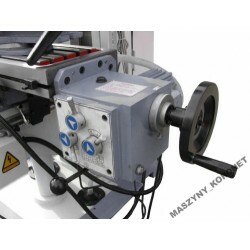 On the machine various accessories can be installed. 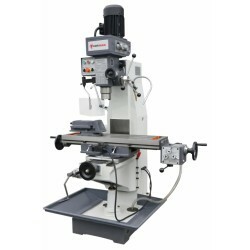 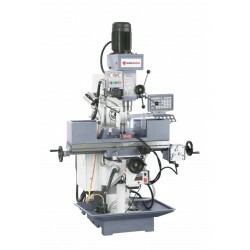 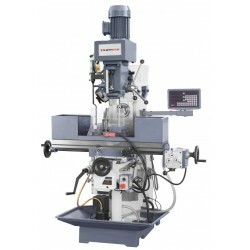 An universal milling machine with a swivel head and a moved out pinole. 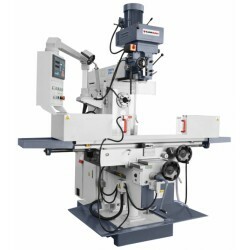 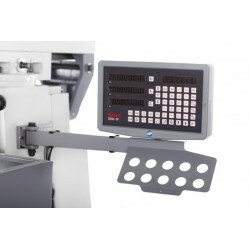 The machine for tool shops and repair divisions.